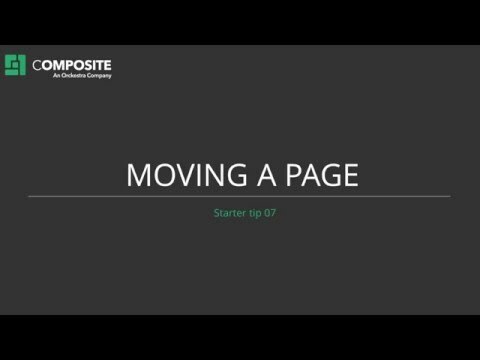 How to Move a Page. You can easily move a page. You can also move whole sections of pages. Right click the page you want to move in the page structure. Click Cut in the context menu. Right click the page under which you want to move the page to. Click Paste in the context menu. Select where you want to paste the page and click OK.
You have now moved the page.